They were big and small, wood and metal, human and gas powered, but they were all designed to do the same thing: chuck or “chunk” pumpkins across a cornfield. 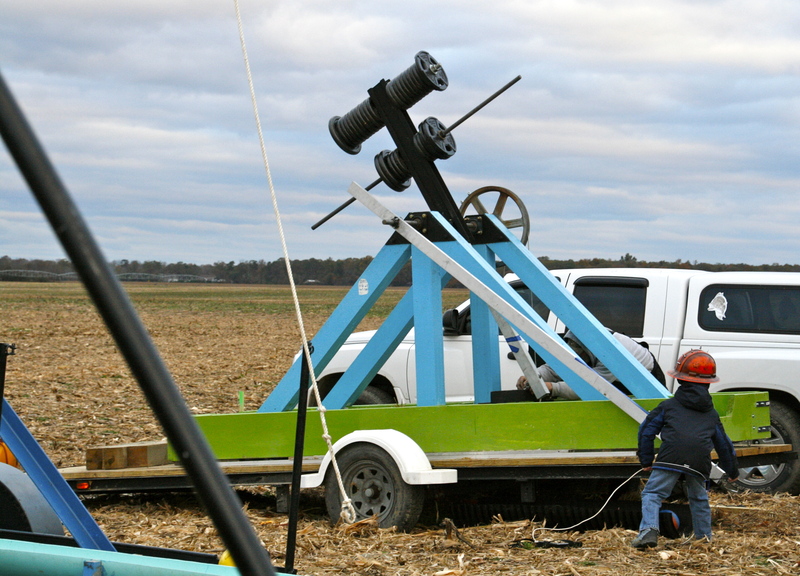 Trebuchets, catapults, centrifugal machines, air cannons and their teams all gathered last weekend in Bridgeville, Delaware, for the 27th annual World Championship Punkin Chunkin. And we were there. After watching Punkin Chunkin on TV last Thanksgiving, my daughter and her friend decided they wanted to enter their own machine. A little less than a year later, they were in Bridgeville with their brothers and their own wooden catapult, named the Socket Monkey, ready to compete in the human powered youth competition. 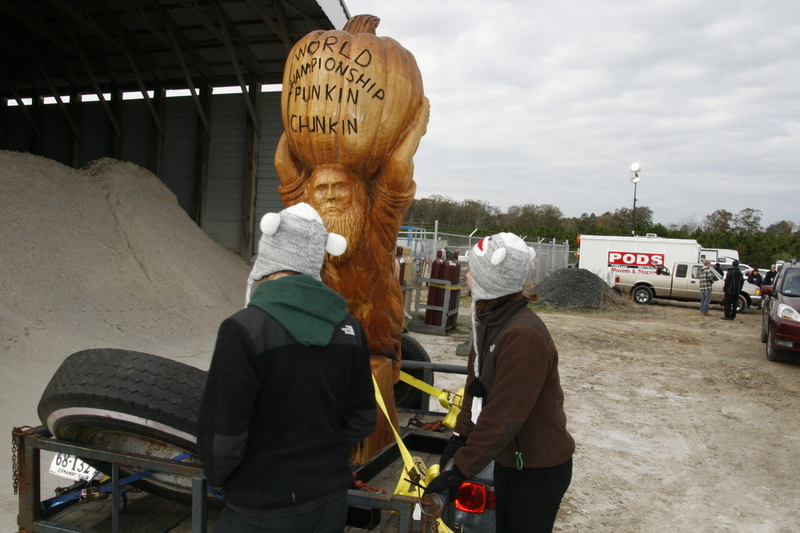 The Punkin Chunkin competition usually lasts 3 days but due to recovery from Hurricane Sandy, each team’s three launches were squeezed into just 2 days. 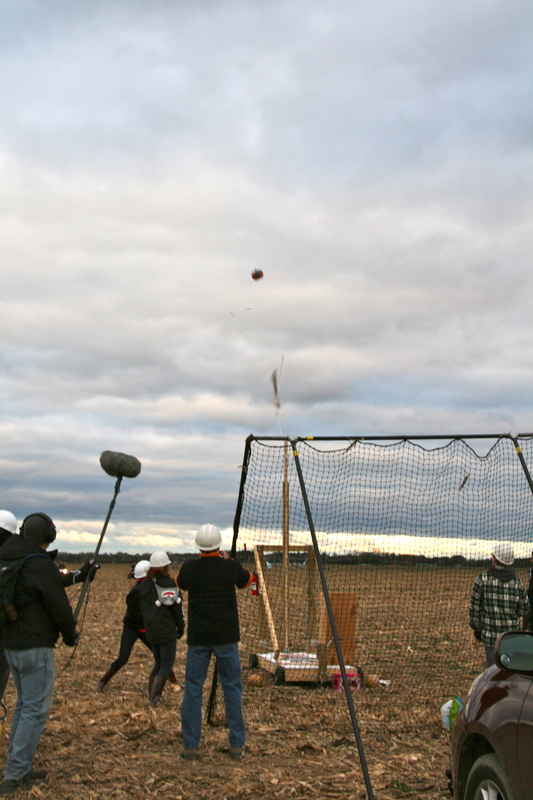 On Friday, the teams set up their machines, weighed their pumpkins (4 pounds was the minimum allowed), and erected their own backstop to prevent those accidental backwards flying pumpkins from launching into the crowd. 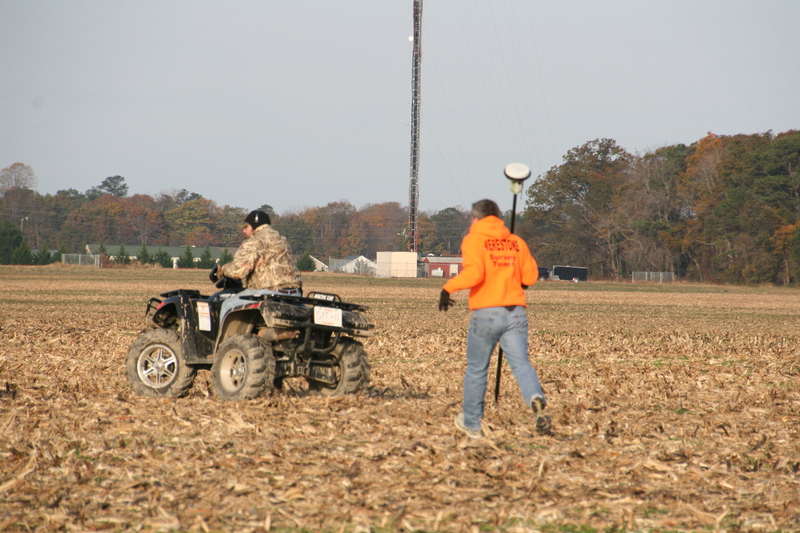 On Saturday, the competition began with the youngest competitors: children 10 and under operated their own catapults and trebuchets before the Socket Monkey launched its first pumpkin into the wind at about 8:30 a.m.
As the pumpkin hurled into the sky and splattered on the ground in the distance, volunteers on ATVs sped off with a GPS to measure the distance of the first chunk: 166 feet. Somehow the organizers managed to squeeze in two launches for each of the 115 teams on Sunday, the last few chunks occurring at sunset. 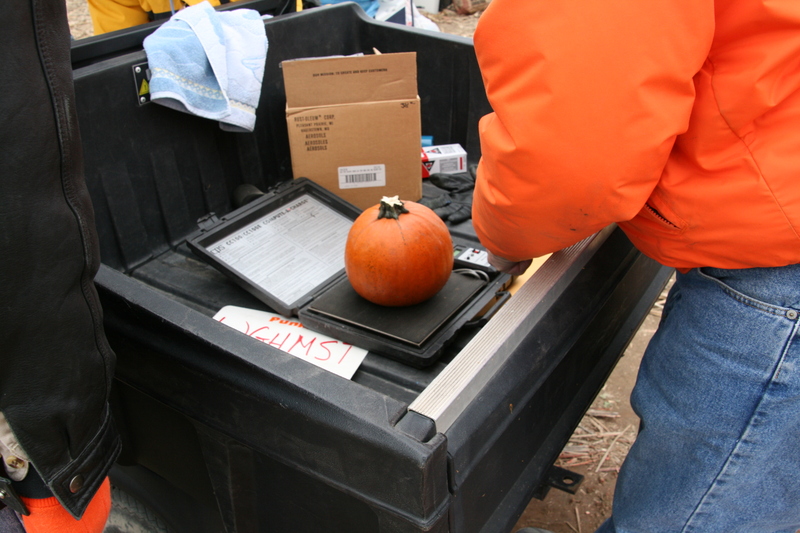 The Socket Monkey’s second pumpkin landed at 126 feet and its third at 172 feet, all respectable distances for our novice team but far less than its two competitors. Eleven-year veteran team Sister Slingers launched its pumpkin 681 feet. But fifth time entrant Team Athena’s pumpkin went the winning distance of 983 feet, a world record for the youth human powered division. The Socket Monkey team was happy. All chunks were forward, none were disqualified, there was no machine breakage, and the pumpkin never “pied” (splattered in the air). 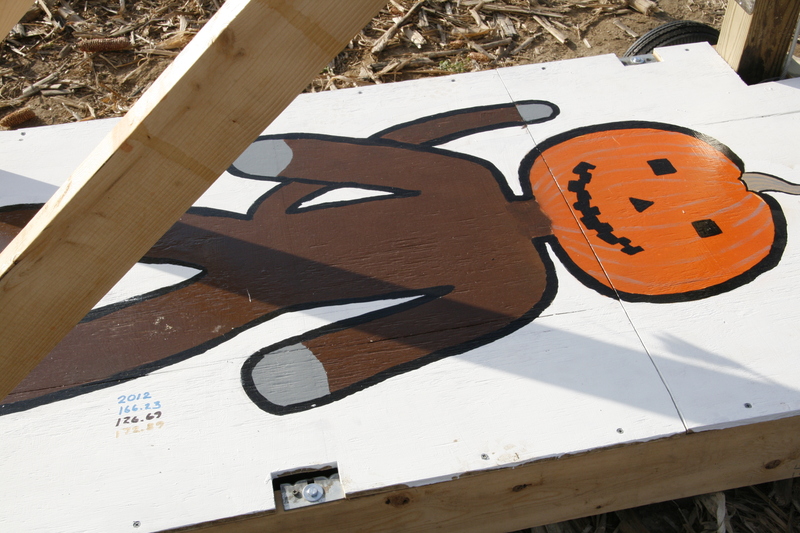 With a few tweaks, who knows how far the Socket Monkey will be able to hurl a pumpkin next year? 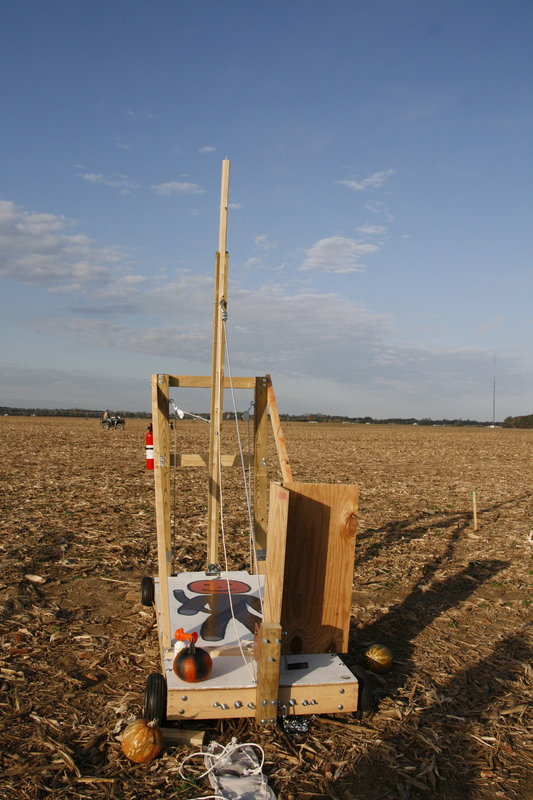 According to its website, the WCPCA (World Championship Punkin Chunkin Association) “raises money for scholarships, as well as organizations that benefit youth and the local community.” The event will be televised on the Science Channel on Thanksgiving at 8 p.m. 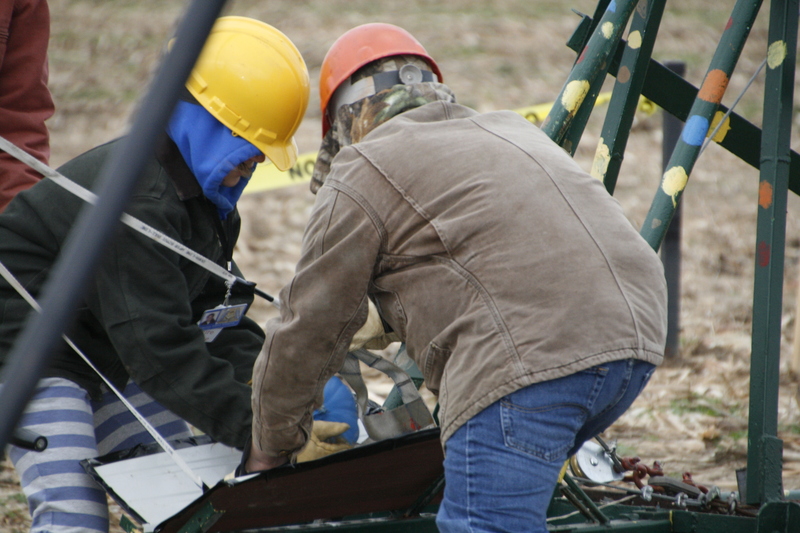 Check out my next post for photos of some of the other bigger machines at the Punkin Chunkin. Nice work!!! You go girls!